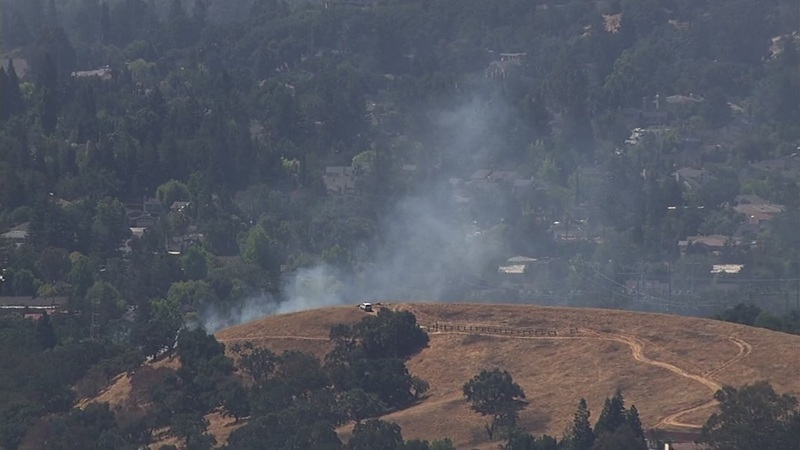 CUPERTINO, Calif. (KGO) -- Firefighters are battling a 2-alarm vegetation fire at 10110 California Oak Way in Cupertino. No injuries were reported and no structures are being threatened. Fire officials reported the blaze on Twitter at 10:56 a.m. Crews say they have stopped the forward progress of the fire. Four acres have burned so far. No other details about the fire were immediately available. An investigation is underway into the cause of the blaze.